Buy Classic Volks – The classic Porsche 914 for sale in Topanga, California. This a Porsche 914 1974 model year has been restored and rebuilt, powered by 2.0L 4 cylinders engine mated with manual transmission has 88000 miles still in excellent condition come in black in black, all looks perfect no bad issue. It ready to trade or get $27995, must see and if you seriosly want, please read below. This entry was posted in 1974, 914, Closed, For Trade, Porsche, USA and tagged Porsche 914 on November 19, 2015 by buyclass. Buy Classic Volks – here classic Porsche 914 is a mid-engined, targa-topped two-seat roadster designed, manufactured and marketed collaboratively by Volkswagen and Porsche. As the picture is a original Porsche 914 Targa 1974 model year come in orange color powered by 1.8L Fi 4 cylinders gas-engine mated with manual transmission still in excellent condition, has some minus but not major if you interested please read details below. This entry was posted in 1974, 914, For Sale, Porsche, USA and tagged Porsche 914 on November 14, 2015 by buyclass. 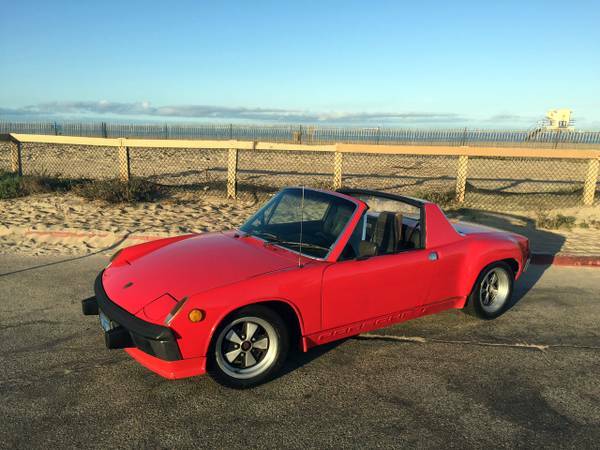 Buy Classic Volks – Used Porsche 914 for Sale, it’s a classic Porsche built in 1973 quite rare also the 914 come in red powered by 2.0L engine mated with manual transmission has been rebuilt and good condition, location at Huntington Beach if you interested please read owner description below. This entry was posted in 1973, 914, For Sale, Porsche, USA and tagged Porsche 914 on August 12, 2015 by buyclass.